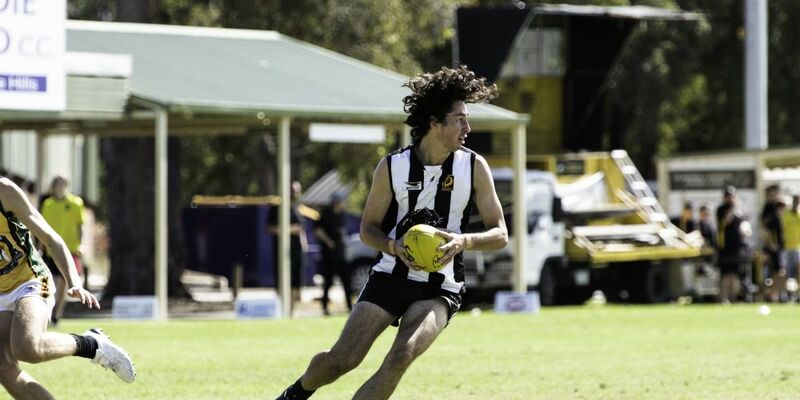 A GRADE football returned to Ray Owen Reserve on Saturday and the Kalamunda Cougars colts kicked off the day in the best way possible by defeating Curtin Uni Wesley Tigers 8.5 (53) to 5.7 (37). Trailing at half time the Cougars dug deep in the third quarter and after hitting the lead, didn’t look back. Braydon Becker was superb throughout while Nathan Lovell stood tall all day at full back. Reserves were next and while they fought hard all game, they just couldn’t match it with the Tigers going down 14.9 (93) to 1.2 (8). Tahni Macara was best on ground. The A grade league rounded out the day at Ray Owen with a disappointing loss 10.5 (65) to 16.10 (106). The Tigers used the breeze to their advantage leading by six goals at quarter time, from there the game was very much even until the final siren. Jason ‘Rooster’ Brescacin’s older brother Daniel took out the best on ground award while Josh Touchell continued his great start to the year with another solid performance. The E1s travelled to Fawell Park where they faced Swan Athletic Football Club. The Cougars matched it early but were eventually outgunned by Swan Ath, with the final result 12.13 (85) to 5.7 (37). Great to see young players Hayden Hardy and Brenton Lucas receiving first and second best awards respectively.